Current: 2A. Item Arrived Ratio. 13.1% 6.0%. Product Name: Mercury Tilt Switch Material: Glass , Metal Main Color: Clear, Silver Tone Body Size: 9 x 3mm/0.35" x 0.12"(L*D) Pin Dia: 0.4mm/0.016" It is a switch which opens and closes an electrical circuit through a small amount of liquid mercury. 20 Pcs x Switch. Quantity: 20 Pcs. The switch is of good sensitivity, so it can promote your work efficiently. Switch ONLY,other accessories demo in the picture is not included. Due to the difference between different monitors, the picture may not reflect the actual color of the item. The anti-dump switch is a vertical electrical switch. It is usually installed at the bottom of the appliance. 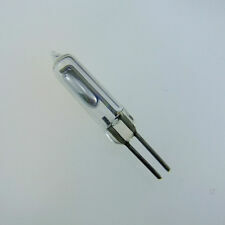 - Electric appliance life - Teminal: 6.3x0.8mm (Insertion force: 96N, pull out force: 88N). 10pcs HDX-2801 ball switch, vibration switch, ball sensor. It is far from CHINA. You may also like. The anti-dump switch is a vertical electrical switch. It is usually installed at the bottom of the appliance. 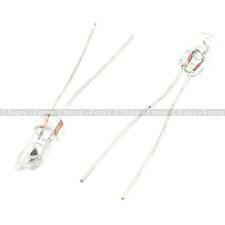 - Electric appliance life - Switch toppling angle: 45°±5°. - Switch restoration angle: 20°±5°. Product Name : Vibration SwitchModel Number : SW-18010PMax. Voltage : 12V Rated Thermal Current : 0.2mAInsulation Resistance : 10M ohmPackage Content : 10 x Vibration SwitchOverall Package : SealedTemperature Resisting : 100 Celsius DegreesBody Dimension : 4.5 x 15mm/0.17" x 0.59"(D*L)Pin Length : 8mm/0.3"Net Weight : 4g Features high sensitivity, sealed package, good performance and reliable.Applied to the eletronic toys, small household appliance, sports equipments and anti-theft devices. Note:Light shooting and different displays may cause the color of the item in the picture a little different from the real thing.The measurement allowed error is /-1-3 cm. Brand Unbranded MPN Does not apply EAN 190268264884 EAN 190268264884. Customized service. Every parcel. High Quality goods. We will much appreciate it and try to improve our service. Wholesale price. Professional support. It is assured your information will not be given, sold, rented or loaned to any third party. Item Arrived Ratio. Insulation Resistance : 10M ohm. Temperature Resisting : 100 Celsius Degrees. 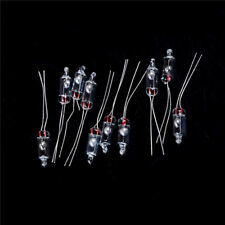 L Length: 13 ±1mm. l Working degree: 5 ° - 10 °. It can be used to slide up and down rolling gates, sliding curtains around DC motors as well as anti-theft security jacks and other occasions. Maximum current: 15A. Learn more。. Tilt switch with metal housing. Wireless switching systems usual control. This tilt switch can be used for various applications, eg in automation or security applications such as alarm systems. Description: Thermo Scientific 15406 Tilt Switch 20-39 4.5m cable (1-201001) 24VDC 1A Hitch Non-inductive On offer is a new, unused tilt switch. It has been unbagged. There are no accessories other than what appears to be a trailer hitch ball - screws snugly into the tilt switch. Condition: New, previously-owned, unused. There is no packaging. The item passes a visual inspection. Shows nicks and scuffs typical of use and handling. No damage. 3X(Product Name : Vibration SwitchModel Number : SW-18010PMax. Voltage : 12V Rated Thermal Current : 0.2mAInsulation Resistance : 10M ohmPackage Content : 10 x Vibration SwitchOverall Package : SealedTemperature Resisting : 100 Celsius DegreesBody Dimension : 4.5 x 15mm/0.17" x 0.59"(D*L)Pin Length : 8mm/0.3"Net Weight : 4g Features high sensitivity, sealed package, good performance and reliable.Applied to the eletronic toys, small household appliance, sports equipments and anti-theft devices. Note:Light shooting and different displays may cause the color of the item in the picture a little different from the real thing.The measurement allowed error is /-1-3 cm. UPC 190268264884 EAN 190268264884 ISBN 190268264884 MPN Does not app. Part No: S20139. Rated to 1amp at 24VDC non-inductive.